When it comes to fresh seafood, Miami does it the best. Gorgeous Miami Beach is always there ready and waiting to offer up the latest catch. It’s an incredible place to be, particularly when you take a look at the food scene. Seafood is a passion in South Beach, and there’s nothing we like better than sharing that passion with any interested seafoodies! A current favorite is a fresh mixed seafood ceviche recipe provided by Executive Chef Andre Bienvenu of the prestigious Joe’s Stone Crab Miami Beach restaurant. We got exclusive rights to this amazing recipe, and want to share it with you! But first, a little background on this type of dish. Ceviche is a South American dish that is composed of marinated, raw seafood served cold. 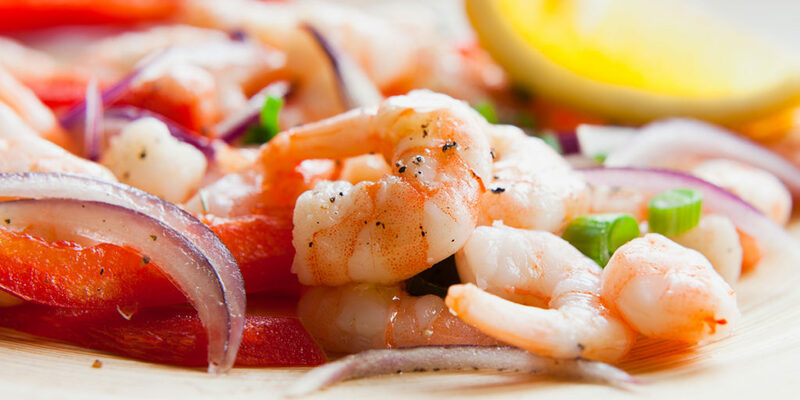 The main ingredients are typically fish, crustacean, lime, lemon, onion, and chili pepper. You can add more to your dish including cilantro, salt, garlic, and fresh veggies or fruit depending on your particular palate. Did you know that Peru considers ceviche a national dish? Ceviche is extremely healthy. Because it uses acidity to cook the fish instead of heat, it ensures that the seafood retains all of its original nutrients and health benefits. And you don’t need to worry about it being “raw” either. The acidity breaks down the fish and slightly cooks it, making it safe to eat—as long as the fish is very fresh and high quality. There are hundreds, if not thousands, of different ceviche recipes. For the most part, you’re only limited by your imagination, and Joe’s Stone Crab Miami put their own stamp on this mixed seafood ceviche recipe. Then, all you have to do is chop your ingredients into bite-sized pieces, mix it all together, and let it marinate for a few hours before chowing down. The combinations and possibilities are endless, and there is no such thing as the perfect recipe, but we’re partial to Chef Andre’s version! As a special treat, we were able to get an exclusive look at this Joe’s Stone Crab recipe. This mixed seafood ceviche recipe is not only easy to make, but it’s the best ceviche recipe that you’ll ever try. Out of all of our favorite Joe’s Stone Crab recipes—and there are many—this ceviche stands out for its fresh flavors. It relies on delicious shrimp and scallops mixed with the fresh tang of lemon and lime juice, and the savory taste of pepper and onion. Put all together, this mouthwatering mixed seafood ceviche recipe is ideal for a party or holiday, easily serving ten to twenty people. And you won’t find this special recipe on Joe’s Stone Crab menu anymore; Chef Andre only prepares it for special occasions like the Chef Showdown and now you can prepare it too! Wash all produce. Peel and devein shrimp. Rinse scallops. Julienne the red onion, green pepper, and red pepper (thinly). Set aside 3 oz of each. Chop a handful of cilantro roughly, and thinly slice garlic cloves. Allow it to marinate for 6-8 hours in a chilled cooler or refrigerator. Upon serving, taste and season with additional salt and pepper if needed. Pair with tortilla chips, plantain chips, or just serve in a cold martini glass with a mini fork for some flair! Looking to add a garnish on top of your mixed seafood ceviche? Try some finely chopped chives or thin slices of green onion. Did you know Chef Andre is recognized as one of the premier chefs in the world? He’s won many prestigious awards including ACF, food shows, NICA, local food challenges, Food Network appearances, and a James Beard award nomination. He’s also a Top Zagat winner. It’s clear that Chef Andre is known around the world, but we know him best as the three-time champion of our VIP Chef Showdown! Our South Beach Seafood Festival is the only seafood fest that Chef Andre and Joe’s Stone Crab Miami attend every year, and we know just how lucky we are to host them. Now, you’re probably looking for a great tasting wine pairing with seafood ceviche. Since this can be a very acidic dish with light, bright, herbal flavors, you need a wine that can stand up to the intensity and includes an acidity of its own. 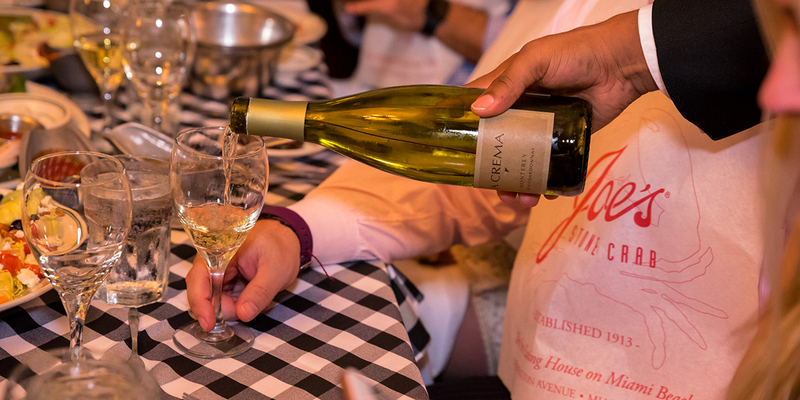 This means you’re going to want a delicious white. Time to sit back and enjoy the best-mixed seafood ceviche recipe with your perfect wine pairing. Our mouths are watering just thinking about. You can discover more exceptional seafood dishes and wine pairings from the top chefs in South Beach (including the Chef Andre of Joe’s Stone Crab), at the South Beach Seafood Festival this October. 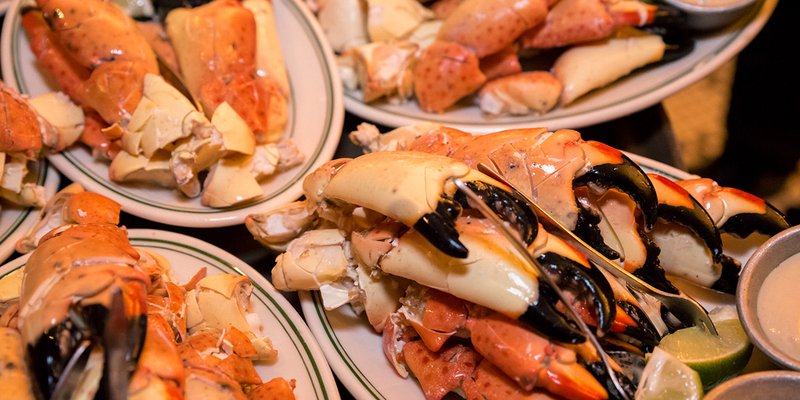 Located on Miami Beach, Joe’s Stone Crab has been a staple of the area since 1913. It got its start as a small lunch counter in South Beach, which served top-notch fish sandwiches and fries, snapper, pompano, and mackerel. No stone crab, but it didn’t take long for everything to change. They were the only restaurant on the beach, and their food was delicious. People started to come for breakfast, lunch, and dinner and quickly the word spread, even reaching Al Capone. Then, everything changed in 1921 when Joe was introduced to stone crab. Having not even known that stone crab existed up until that point, at first, Joe was unsure what to do with the creatures. But that didn’t stop him. When he was handed a burlap sack full of live stone crab, he tossed them in boiling water, and the rest is history. Joe’s Stone Crab South Beach started serving stone crab chilled and cracked with hash brown potatoes, coleslaw, and mayonnaise, and it’s how they’ve served them ever since. Joe’s Stone Crab Miami serves a little bit of everything from conch to calamari, lobster, fresh fish (mahi-mahi, salmon, and tuna), oysters, steak, chicken, and (of course) stone crab! They even have one of our favorite desserts. Joe’s Stone Crab key lime pie recipe offers the perfect pairing of tang and sweet, which is exactly what you need after a meal of the best seafood imaginable. Don’t just take our word for it. On Yelp, here’s what a few of their customers had to say about the seafood ceviche. It used to be on their menu but is now only available at select events like South Beach Seafood Festival, or when you make your own batch at home! 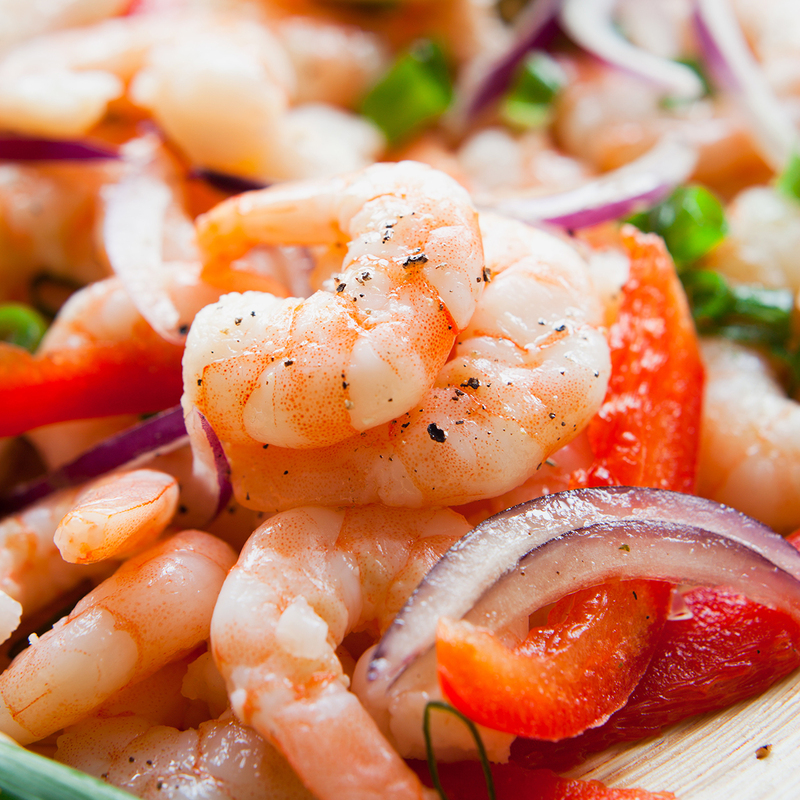 Did you venture into making this mixed seafood ceviche recipe? Share your prep or tasting tips with us in the comments below!